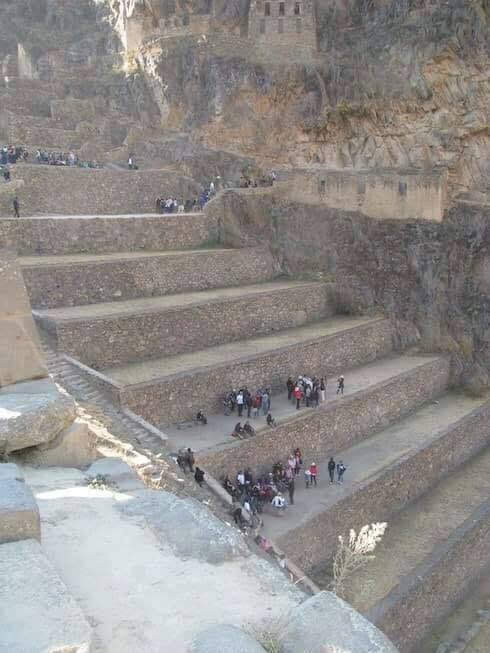 This photo is often shared as “gigantic steps for Nephilim“. In this case “Nephilim” refers to a race of giants that lived on earth according to Genesis 6:4. Did the ancient giants used these gigantic steps? That’s actually a photo of Ollantaytambo, an Incan ruin in Peru. Those are not steps, but agricultural terraces. Graduated terrace steps are commonly used to farm on hilly or mountainous terrain. This photo doesn’t provide any evidence of ancient giants. About Nephilim and alleged race of ancient giants: they are mentioned in the Bible. There are various interpretations: they could be (fallen) angels, aliens, giants or human-angel hybrids. If you ask me, the whole thing is just a modern myth based on a old fictional story. There are a lot of related hoaxes. Examples: Snopes and National Geographic.